We first came across Murphy’s as we were headed towards Trinity College. Free ice cream samples sure do a lot to persuade me to buy some more. 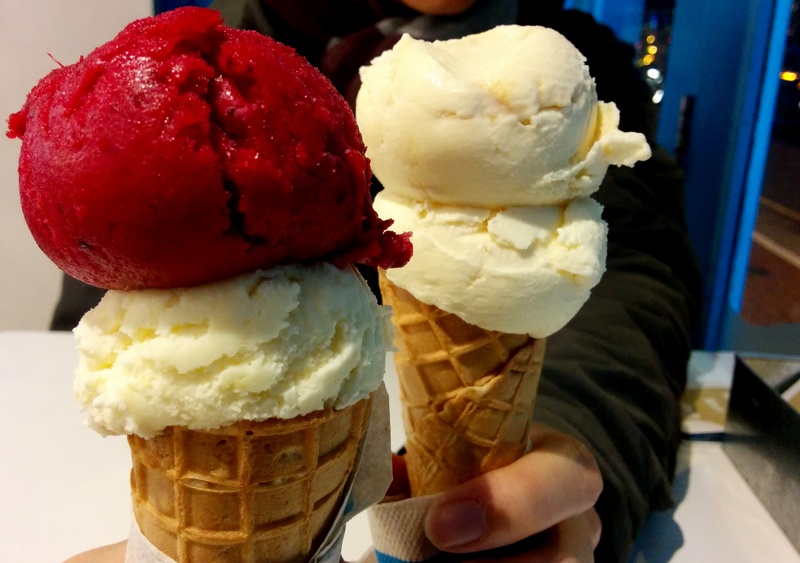 The shop we were in offered really neat flavours, and even the regular cone (€3.80) comes with two flavours. I ordered a cone with scoops of strawberry and caramelized brown bread and Jack ordered an Irish coffee and Guinness cone. The ice cream was so good that we decided to go one more time. You have to realize two visits to the same store in the span of five nights is plenty for Jack and myself, especially as we prefer to branch out and try as many different places as possible when we’re in new cities. Nevertheless, on the last night we were in Dublin we headed back to Murphy’s, this time for a raspberry sorbet and cinnamon cone for me and Dingle sea salt and Irish coffee for Jack. Pros: The staff is friendly and willing to give out as many samples as you want and the ice cream is flavoured perfectly, with no mistake as to which flavor is which. Cons: You’ll probably become addicted and spend all your money here. 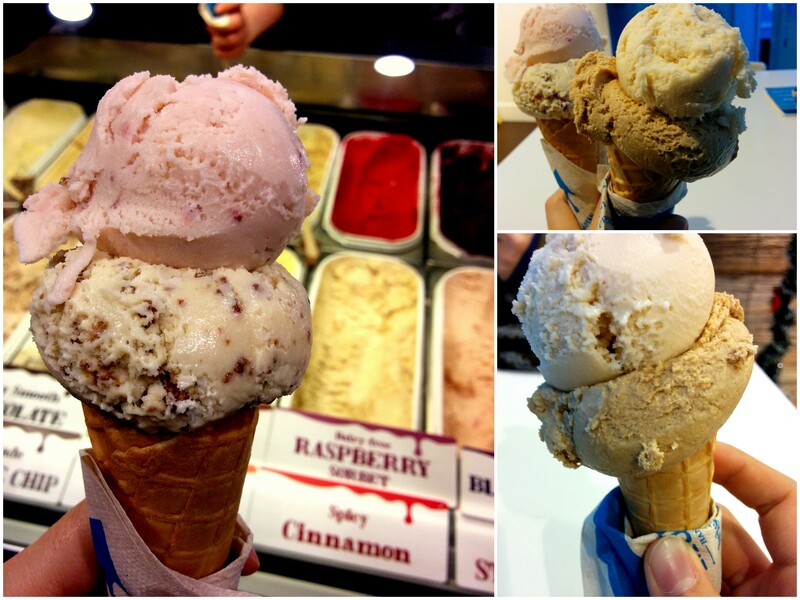 Locally made and deeply enjoyed, Murphy’s is a must if you are craving a creamy treat at any time of the year – take our word for it, as we enjoyed our cones greatly in the deep of December!